The internet has long been labelled the ‘network of networks’, for its ability to seamlessly transmit data across a myriad of devices and networks — both local and global — using Internet Protocol. That same kind of convergence and connectedness is happening with wireless communications technology too. Motorola Solutions have long invested in technologies that enable interoperability between networks and devices. Having ubiquitous connectivity, real-time data intelligence and automation are among the catalysts for the Fourth Industrial Revolution. Technology platforms such as our WAVE broadband push-to-talk and TRBOnet suite of pure-IP control room solutions, extend our customers’ communications beyond LMR while leveraging carrier LTE networks. By integrating LTE, organisations have a low-risk transition path towards unifying IP-based, converged voice and data communications. LMR and LTE are complementary and help organisations to benefit from population-wide coverage and capacity without compromising their mission critical transmissions where they are needed most. Augmenting LMR with LTE brings the advantage of delivering greater bandwidth and data. Converged data and voice technologies also empower organisations by providing enriched operational insights across an array of network end-nodes — leveraging mobile applications, advancements in video surveillance and analytics, and IoT. Through direct integration to the WAVE PTT infrastructure through a Voice Radio Command (VRC) Gateway, and supporting interoperability between multiple frequencies and bands (VHF, UHF, 800MHz) and IP gateways, Motorola Solutions’ MOTOTRBO Tier 3 Capacity Max system connects any user and workgroup regardless of whether they use a smart phone, radio, computer or telephone. This delivers true, network- and device-agnostic unified communications. Capacity Max is built upon a standardised IP network, so there is no requirement for specialised interconnections. The integration of LMR and LTE means that workgroup collaborators can connect instantly to transmit critical voice and data in real-time, regardless of the type of end-user device. The need to unify two-way radio with mobile broadband users is growing globally, helping to explain why MOTOTRBO technologies have been deployed on every continent in the world, serving organisations as diverse as the Mall of America; Energoatom, Ukraine’s nuclear energy producer; Gulf Coast Logistics and the Palace of Versailles. Network interoperability is one part of the equation. Value-added applications help bring network technology to life, allowing functional and operational benefits of real-time situational intelligence, such as personnel and asset tracking; alarm and incident management; and workforce management. All asset and user data — from video cameras through to remote sensors — can be aggregated and centrally managed to give organisations greater insights into their data. For instance, it is software that informs and empowers dispatchers to act in a timely and appropriate manner. Imagine this scenario. A child is lost at a busy train station and the amalgamation of DMR, LTE and software applications is put to work. Lost child notification received by dispatch from customer service deck. Alert all field staff, regardless of device type, with description of person of interest. Search and analyse surveillance footage to obtain (near) real-time location of child, including movement, time stamp through the station. Via indoor/subterranean positioning, alert field staff in vicinity of child. Field manager is able to receive details of the child’s current position, even if she is using a smart phone. She is able to quickly locate and find the child and report status back to dispatch. Resolved status sent to all workgroups, regardless of device. Dispatch is able to run reporting and analysis of time-to-resolution, to determine future improvement areas for passenger safety. Being agnostic to the types of networks it uses has been a critical success factor for Transdev Australasia, one of Australia’s largest passenger transport operators of bus, rail and ferry services. With almost 6,000 employees, Transdev’s operations span multi-modal transport across Australia and New Zealand. Since it was connected to the Orion network with Capacity Max infrastructure in 2017, Transdev has been able to implement new capabilities into its operations. 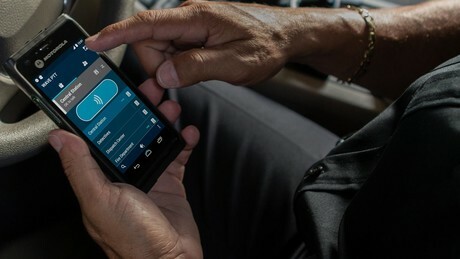 In his presentation at Motorola Solutions’ Channel Partner Conference in February, Mark McKenzie, NSW Bus General Manager for Operations and Assets, explained his organisation’s challenge of needing to lower operating expenditure while delivering heightened customer service levels across his fleet of 516 vehicles. Spearheaded by their CIO, Transdev was embarking on an organisation-wide mindset of technology transformation — focusing on efficiencies, streamlining disparate systems, and harnessing new opportunities. Through Orion and MOTOTRBO, Transdev was the first transport company of its kind to utilise a multi-state distributed Operations Control Centre (OCC) model, allowing the business to manage its national bus fleets from any location. The solution incorporates TRBOnet command and control software, as well as the WAVE broadband push-to-talk solution to connect smartphone users with core field operators on two-way radio. This fusion of technology platforms enables communications convergence, and Transdev’s strategic partnership with the Orion group, has enabled it to innovate and tackle emerging opportunities — from providing on-demand transport services, to autonomous vehicles, improved driver security and delivering real-time information to customers, as examples. These initiatives support Transdev’s mission of providing “secure, intelligent and reliable communications” to meet its client contracted KPIs. For New Zealand organisations, the ‘network of networks’ for critical communications has become a reality. Visit Motorola Solutions and the Orion group at Comms Connect in Auckland (Stand 43) to be one of the first to find out how our new technology platform will deliver next-generation enterprise work-group safety and communications mobility.